How Far is Ramana Valley? Ramana Foundations is coming up with elegant residential apartments at Selaiyur titled Rmana Valley. Each apartment is carefully designed for the best look, beautiful interiors, sufficient ventilation and offered with world class amenities. 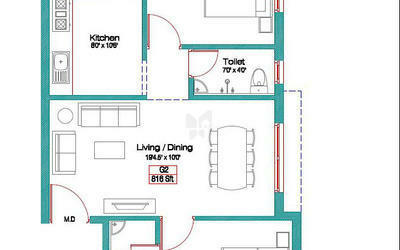 Offered in a range of 2 BHK and 3 BHK, these are built with top branded floorings and fittings. 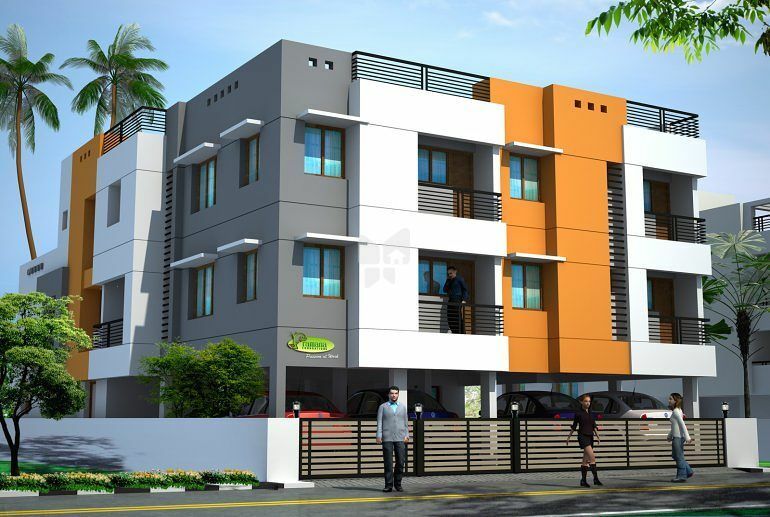 Ramana Valley is a promising project developed by Ramana Foundation located at Selaiyur in Chennai. 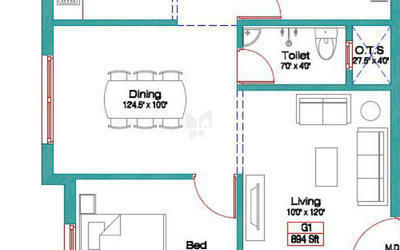 Every minute details of the abode have been carefully thought of. The exteriors as well as the interiors of the abode is built with perfection offering you homes that give you truly value for money. All the fixtures and the fittings are of the finest quality that is sure to last long. Make every penny of your hard earned money count by investing in this abode. Experience a lifestyle you yearn for by moving in here with your families. The cool and calm environment here will give you a relaxing lifestyle. Ramana Valley developed by Ramana Foundation located at Selaiyur in Chennai is your ultimate living destination. 3.Cupboards in Every Room with Cuddapah slab. 4.RCC loft on one side. 5.Glazed tiles plain (colors) two feet above Kitchen platform. 8.Two 5 amps Power Point. 2.One 5 amps Power Point. 2.Glazed tiles up to 7’ Height. 4.Wall Mixers in two bathrooms. 6.One 15 amps power point for water heater. 1.All Water Lines and Sewerage pipe will be ISI PVC Pipes. 2.Bathroom Fittings are in Waterman Brand. 2.Wires are ISI Branded ( Kundan / Orbit Wires) Brand. 4.Three Phase Change Over Switch & MCB Tripper Circuits . 5.Waterproofing for Terrace & Toilet Areas. Ramana Foundations was established in the year 2000 by Mr.Ganesh. The zeal, Knowledge and Vision of the founder has guided the company in the right direction. The company's portfolio consists of construction core and thrust areas like marketing, selling and customer servicing. The company has earned wide recognition for its residential and commercial buildings from its clients. The company's track record is built upon timely completion, safety, quality and reliability. We are equipped with sufficient infrastructure and efficient task force. The integrated work culture in our company is built on hard work, honesty, planning and involvement. Through tenacity, innovation and good old-fashioned hard work, Varsha Homes delivers complex projects on time and on budget with impeccable safety record. The company has achieved a remarkable growth over the span of the years, completing 57 flats comprising of 40000 sq. ft.
On achievement of high level of customer satisfaction our customers become our brand ambassadors. Flexibility and ability to address the ever changing market place allows Varsha Homes to continually 'lead the pack' of construction companies in reduction of cost, increased productivity and profitability and many innate characteristics of successful business.